Start automating security testing in four steps: drill down, context from the inside, see actionable reports, and customize your workflow. 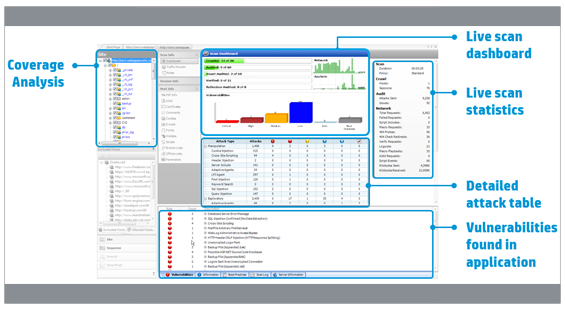 Micro Focus WebInspect is an automated dynamic testing solution that discovers configuration issues, and identifies and prioritizes security vulnerabilities in running applications. It mimics real-world hacking techniques and provides comprehensive dynamic analysis of complex web applications and services. 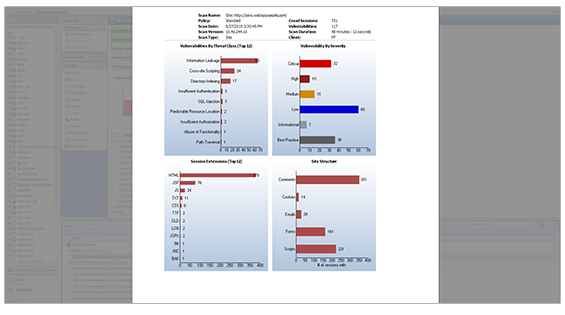 WebInspect dashboards and reports provide organizations with visibility and an accurate risk posture of your applications. WebInspect enables you to observe application reaction to attacks at the code level during dynamic scans, identify and crawl more of an application to expand the coverage of the attack surface, and provide stack traces and SQL queries to confirmed vulnerabilities. 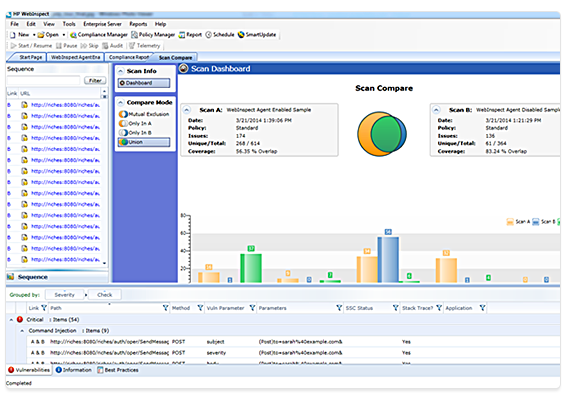 Create flexible, extensible, and scalable reports that match your business requirements. HTTP requests and responses are contextually highlighted to immediately draw attention to the attack and the vulnerable response. You can easily retest the entire site, just the vulnerabilities, or only a single vulnerability, as well as scan comparison which enables the delta analysis comparison of vulnerabilities across two scans. 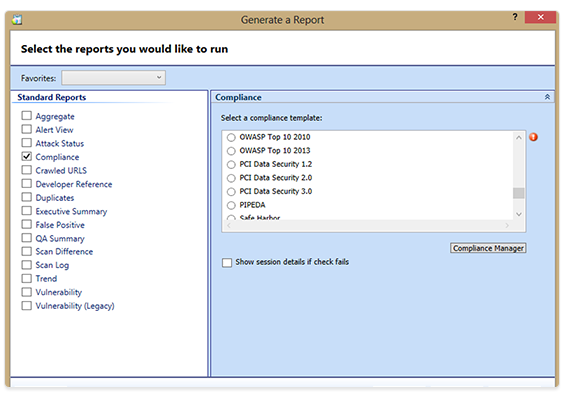 Centralize your security intelligence using WebInspect Enterprise, which helps you understand the security risk of your organization. Providing you the ability to view and manage your security portfolio to track vulnerability, confirm remediation, view metrics, progress and trends. WebInspect is an automated dynamic testing tool that mimics real-world hacking techniques and attacks, and provides comprehensive dynamic analysis of complex web applications and services. The earlier in the development process that security vulnerabilities are discovered, the less expensive they are to fix. WebInspect gives security professionals and security novices alike the power and knowledge to quickly identify and validate critical, high-risk security vulnerabilities in applications running in development, QA, or production. Do more with less. WebInspect improves the effectiveness of your DAST efforts while lowering the cost of security vulnerability assessment and remediation. Advanced technologies like simultaneous crawl and audit, and concurrent scanning makes powerful scanning technology accessible to even novice security testers. Streamline the process of remediating vulnerabilities. 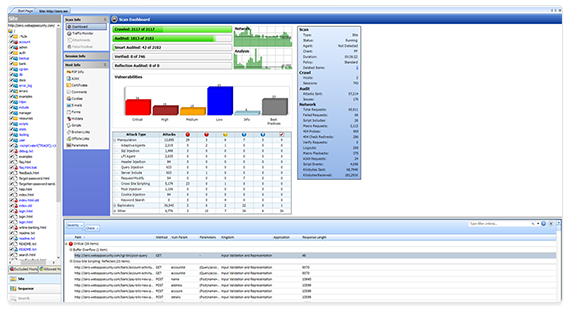 WebInspect Enterprise establishes a shared security service to centralize and correlate results while distributing security intelligence, or testing capabilities, across an organization.